Both Yogi and Shah would be arriving in Gujarat on Friday itself. Rashtriya Swayamsevak Sangh (RSS) chief Mohan Bhagwat and BJP’s national general secretary Ram Madhav are also part in the two-day meeting, which began at Arsh Vidya Mandir. The ‘Chintan Baithak’ (brain-storming meet) has religious leaders associated with the RSS and the Vishwa Hindu Parishad (VHP) as participants. “Every two years, the Hindu Acharya Sabha, which consists of top religious heads of various Hindu sects, organises this Baithak,” RSS Gujarat spokesperson Vijay Thakkar told PTI. “All religious, political and social issues are discussed,” Thakkar said. However, sources said that Ram temple issue would figure prominently in the discussions. 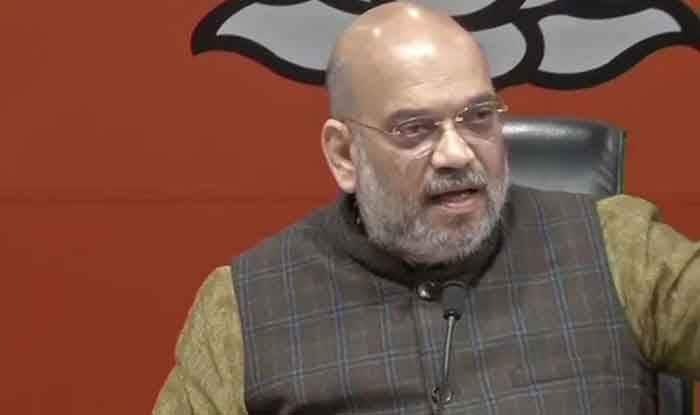 Gujarat BJP spokesperson Raju Dhruv confirmed that Shah will be coming to Rajkot to attend the meeting. RSS has been raising the pitch for the construction of Ram temple at the disputed site in Ayodhya, saying that an ordinance could be brought in. The Ram temple dispute is before the Supreme Court. Meanwhile, the Shiv Sena has attacked senior ally BJP over the Ayodhya issue, saying the construction of Ram temple at the disputed site has become another ‘jumla’ (rhetoric) for the party. In an editorial in its mouthpiece ‘Saamna’, the party said the BJP had not woken up despite its recent electoral defeats in three states and was not ready to learn from what RSS sarsanghchalak Mohan Bhagwat had to say in the context of teachings of the Bhagavad Gita. There is pressure within the BJP to construct the Ram temple in Ayodhya, but when will “achchhe din” (good days) come for Lord Ram, the Sena asked. “Shree (Mohan) Bhagwat, while citing the Bhagavad Gita said what is the use of the arrogance (by saying) what ‘I’ do is the best. ‘I’ did this. He has given a guiding principle for the BJP,” the Uddhav Thackeray-led party said. “But what is the use? This government, like Kumbhakarna (the demon king Ravana’s brother known for sleeping for months at a stretch), is not ready to wake up even after humiliating defeats in three states,” it said.